This entry was posted on March 26, 2010 at 8:24 pm and is filed under Animals, Entertainment, Food, Humor, Life, News, Politics, Random, Uncategorized with tags Albert Bailey, Alex Pfeffer, Connecticut, Connecticutt, Donald wolfe, Fairfield, LSD Gherkin, Man Rescucitates Opossum, Patrcick Baecker, Pennsylvania, People's United Bank, Pickle, possum, Punxsutawney, Witch doctor, World of Warcraft. You can follow any responses to this entry through the RSS 2.0 feed. You can leave a response, or trackback from your own site. Thanks Rob, I’m glad you enjoyed them. 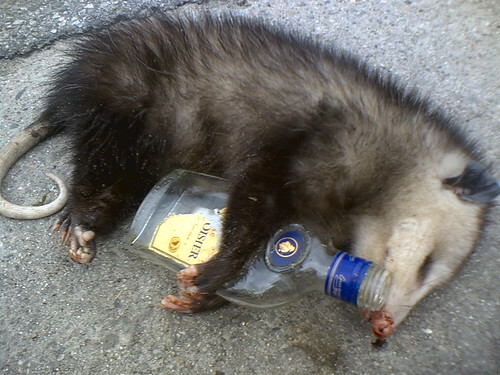 I liked the ‘possum pic too. He’s cool.